T/Sgt. Martin S. Porter, son of Mr. and Mrs. W. C. Porter, Deceased, husband of Ethel Ruth Nevs. 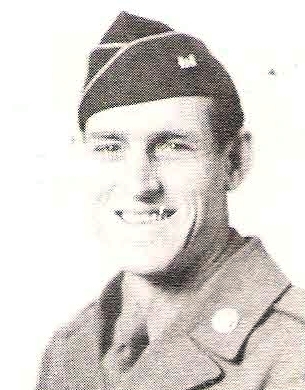 Entered Army in 1942, trained at Camp Robinson, Ark., Camp Carrabel, Fla. and Ft. Ord, Cal. Served in Pacific Theater, N. Guinea, D.E. Indies and Japan. Awarded GCM, Arrowhead, Victory Medal and 4 Battle Stars. Discharged in 1946.